The Ekiti State Command of the Nigeria Security and Civil Defence Corps has arrested a suspected ritualist and fraudster identified as Yomi Akinwumi. A report revealed that the 57-year-old man allegedly obtained money from people under false pretence and thereafter hypnotise the victims. The suspected ritualist was apprehended in his shrine along Oke-Ila axis of Ado-Ekiti, where items like charms, a woman’s pant, a calabash and a picture of a popular prophet were recovered. Akinwumi claimed that the Pant seen at the shrine was not for rituals but belongs to his wife. Akinwumi said, “The pant belongs to my wife. It is neither for ritual purpose nor for another lady. 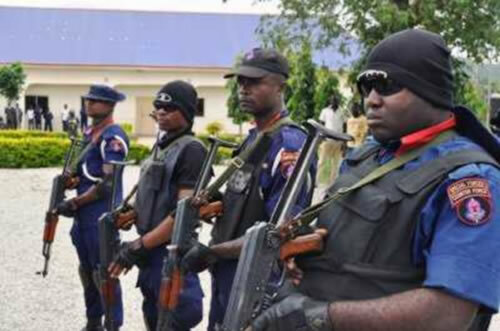 His arrest followed a report to the NSCDC by three victims – Taiwo Oluwoye, 32, Adeola Joseph, 71, and Yusuf Bamidele, 36, who alleged that after Akinwunmi defrauded them of N1.8 million under false pretence, he also hypnotised them so that they would not remember any transaction made with him.